With more than 115,000 people in 40 countries, Capgemini is one of the world’s foremost providers of consulting, technology and outsourcing services. The Group reported 2010 global revenues of EUR 8.7 billion. Together with its clients, Capgemini creates and delivers business and technology solutions that fit their needs and drive the results they want. A deeply multicultural organization, Capgemini has developed its own way of working, the Collaborative Business ExperienceTM, and draws on Rightshore®, its worldwide delivery model. Capgemini Consulting is the Global Strategy and Transformation Consulting brand of the Capgemini Group, specializing in advising and supporting organizations in transforming their business, from the development of innovative strategy through to execution, with a consistent focus on sustainable results. Capgemini Consulting proposes to leading companies and governments a fresh approach which uses innovative methods, technology and the talents of over 3,600 consultants worldwide. Effective with this report, we are branding each Annual 3PL Study in terms of its first full year of circulation following the report’s annual October release. Therefore, this report constitutes the 2012 3PL Study. In recent months, the world economy has dropped due to the continuing euro-zone crisis. 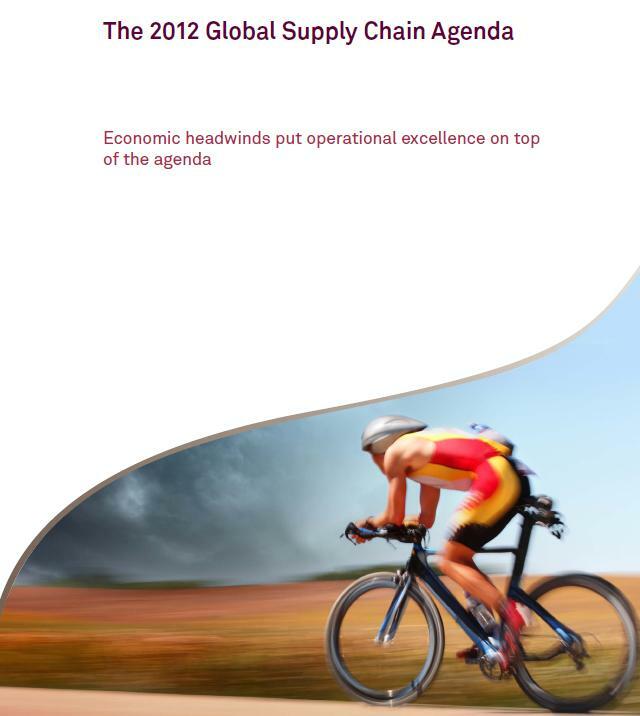 The resulting uncertainty around the future economic situation is reflected in our 2012 supply chain survey. Specifically, market volatility (52%) was voted the number one business driver that respondents currently face. This is followed by the economic downturn (39% of the respondents). On the other hand, only 17% have an optimistic outlook and believe that economy will recover in 2012. However, when compared to the previous economic slowdown of ‘08-‘09, it appears that companies are better prepared to handle the volatility. In our current survey 52% of the respondents indicate that they are now better prepared for a more volatile environment, while the remaining indicate there are equally (43%) or even worse prepared (6%). So what are the strategic plans for 2012? 65% of the respondents indicate that they have planned operational excellence projects. Supply chain visibility improvement (57%), and business innovation (56%) are also ranked high in the list.